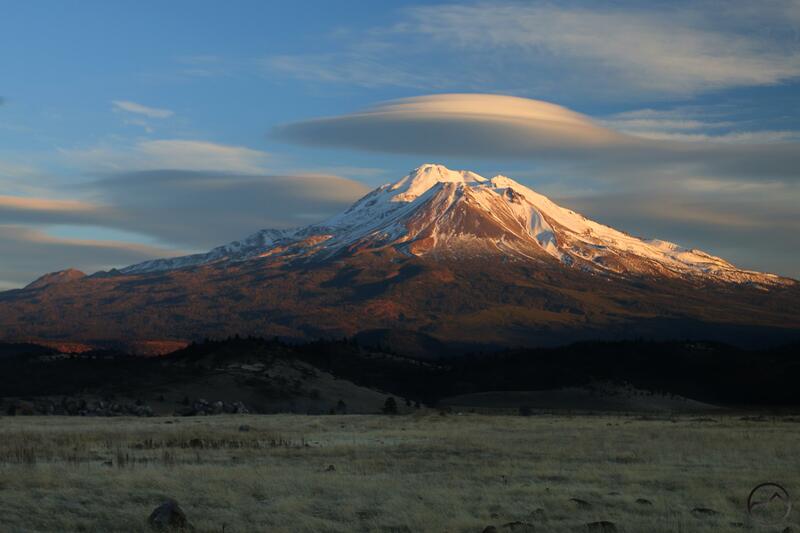 A large lenticular cloud overshadows Mount Shasta. After this morning’s meteorological fireworks above Mount Shasta, the lenticular cloud hung around all day. Though its shape changed constantly, it was a fixture in the sky just south of the mountain. When sunset was approaching, I headed north into the Shasta Valley in the hopes of catching the lenticular filled with alpenglow. I was not disappointed, being treated to one of the more interesting cloud displays so far this fall. The formation continued to grow, collapse and rise again the entire time I was photographing it. This meant I got a very unusual set of images, capturing the mountain with a variety of shapes hovering above it. Taken with this morning, this was easily the best day for lenticular clouds in 2017, excepting only the magnificent St, Patrick’s Day spectacular. I am glad to have been able to catch morning and evening. What an incredible mountain we get to enjoy! I know that I have a tendency to write posts whenever the weather gets interesting. However, it is not my intent that this be a meteorological blog. Thanks to everyone for putting up with my continued fascination with lenticular clouds. I may put up one more post around Christmas and then after that the usual end-of-the-year wrap up stuff. Amazingly, the 5 year anniversary of the founding of this site is also approaching. In between all that, I promise to get my annual off-season winter trail round up published. 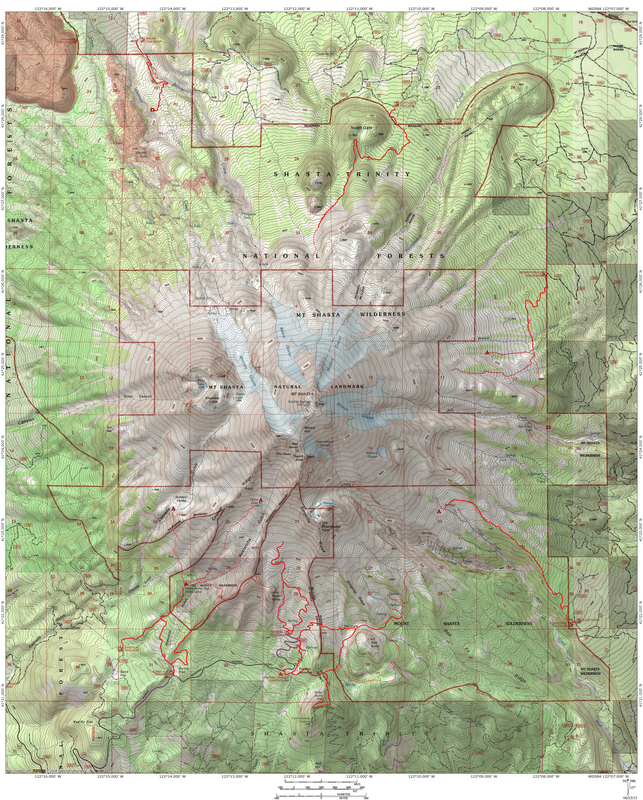 I have a few goodies on the Shasta Valley in the works too, as well as another installment in my Northern California geography series. In the meantime, thanks for your patience and Merry Christmas! These are really brilliant shots. I’ve always been drawn to the mountains and captivated by the weather. It is amazing how they interact.